The British Museum houses one of the greatest collections of human cultural history in the world. Situated within the heart of this Grade 1 listed building, the Clore Education Centre offers two state-of-the-art, contemporary screening rooms seating 323 and 142 respectively. Designed by Lord Foster in striking red, white stone and grey, these spaces are perfectly suited to conferences, seminars, product launches, press briefings, film screenings and live broadcasting. Each theatre is complemented by an elegant curved foyer, mirroring the amazing Great Court and world famous reading room above. Our theatres also feature Sony 4K DCP projection, 5.1 surround sound, wi-fi and screens that can accommodate slide presentations as well as cinematic films. 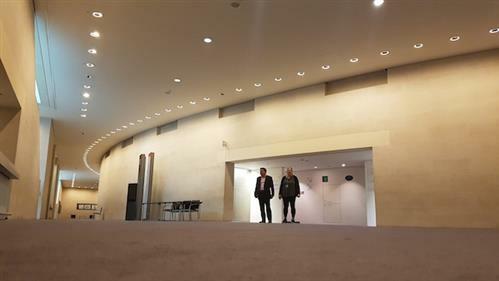 With over 240 square metres of space in each one, these areas are perfect for registration, lunches, networking receptions, dinners, film screenings or as exhibition areas where new products and achievements can be interacted with in the most stylish of settings. 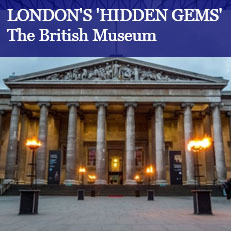 Surrounded by such extraordinary examples of culture and history, your delegates and guests will not only enjoy state-of-the-art facilities but also, during gallery opening hours, access to the British Museum collection and special paying exhibitions for inspiration, distraction and relaxation. 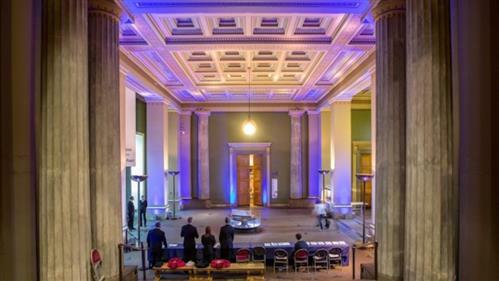 The Museum facilities are well supported with highly experienced in-house audio visual and event management teams, which are all included as part of the hire fee, and they can deliver a variety of high-end presentation and event elements. From site visit, administration and pre-planning and corporate gifts through to managing the event itself, the Museum will have dedicated staff on hand to assist with all your requirements. 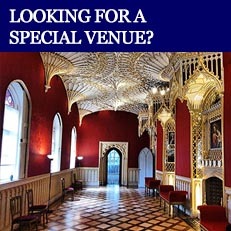 In addition to this, the Museum will be working with some of the best-known event suppliers in London including three production suppliers and nine outstanding caterers. For further information email Mark Ward.